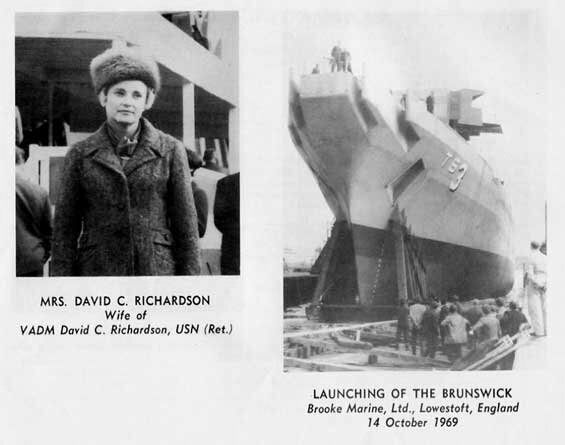 34k Brunswick (ATS-3) launching, 14 October 1969, at Brooke Marine, Oulton Broad, Lowestoft, United Kingdom. 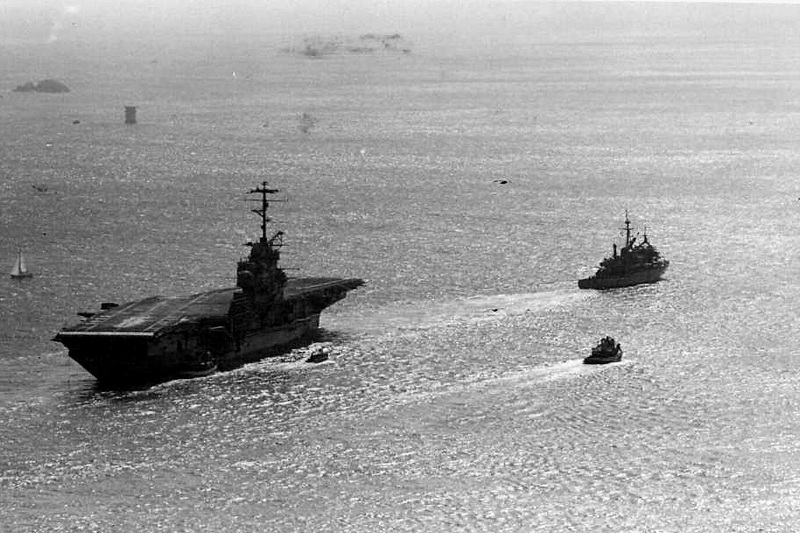 283k USS Brunswick (ATS-3) engaged in a towing exercise with USS Constellation (CVA-64) in the South China Sea, 6 October 1974. 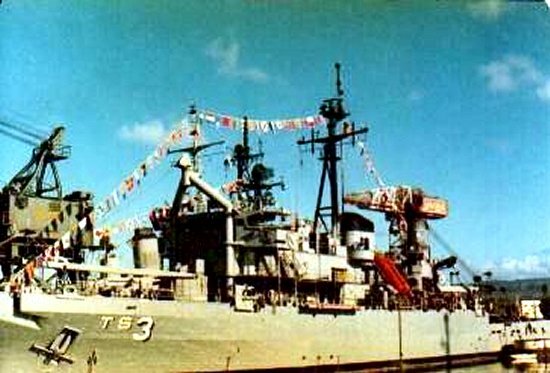 56k USS Brunswick (ATS-3) during salvage operations of SS Lindenbank off Fanning Island, circa 1975. 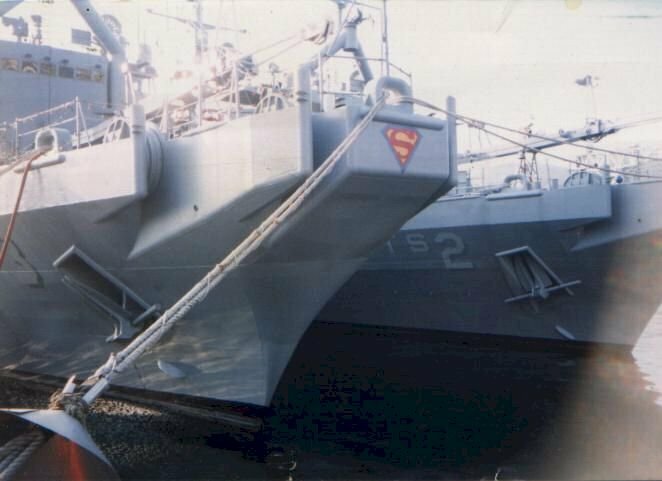 NS023493 1.86M Ex-USS Oriskany (CV-34) towed from Alameda to Bremerton, 24–30 October 1976, by USS Brunswick (ATS-3) All photos taken by Ray F. Longaker, Jr. 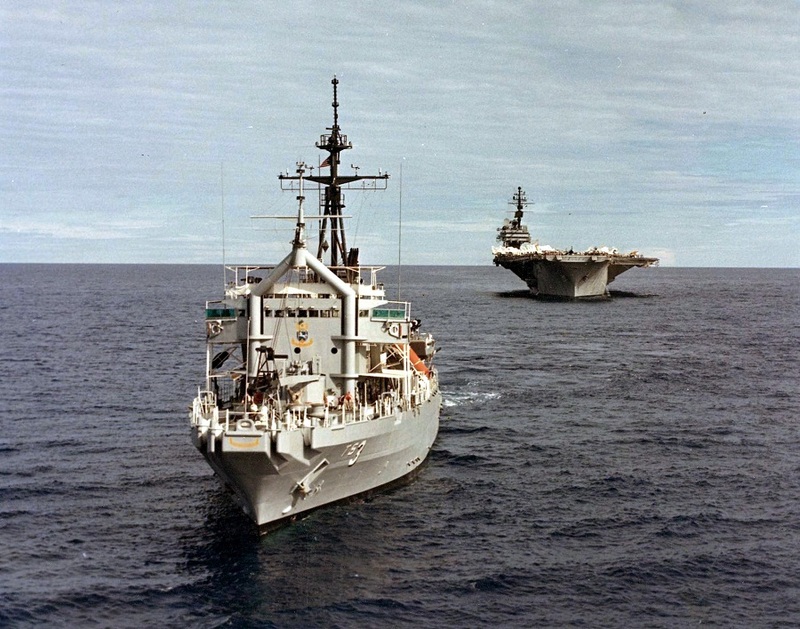 Here is a video by Vern Bouwman, featuring these photos. 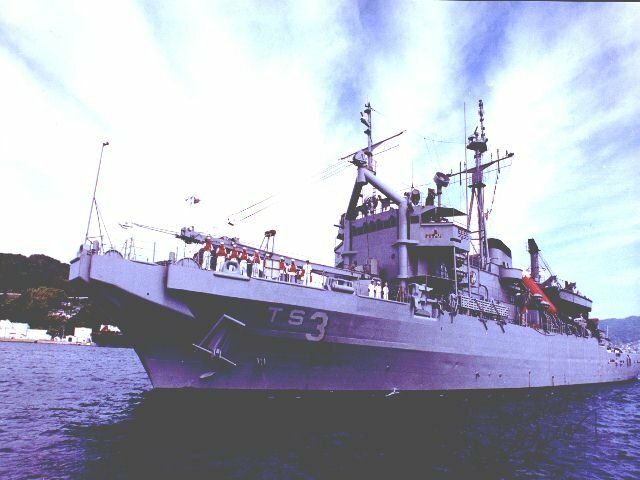 NS0234ab 223k USS Oriskany (CV-34) being towed from San Francisco Bay, 2 October 1976, by USS Brunswick (ATS-3) to the Inactive Ship Maintenance Facility at Bremerton, Washington. 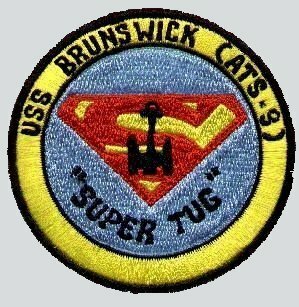 National Naval Aviation Museum photo, # 2009.116.016. 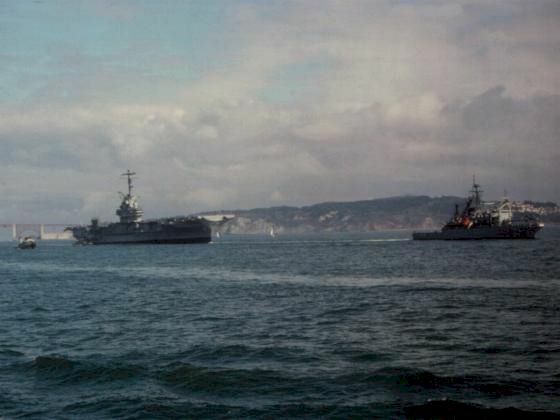 27k USS Brunswick (ATS-3) towing the ex-USS Oriskany (CV-34) from San Francisco, CA., to Bremerton, WA., 2 October 1976. 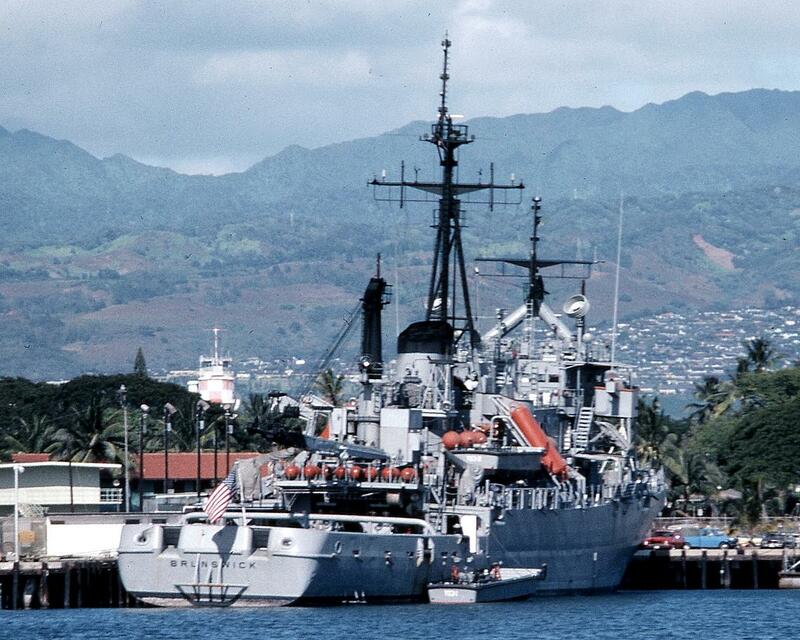 214k USS Brunswick (ATS-3) moored pierside, Naval Station Pearl Harbor, November 1981. 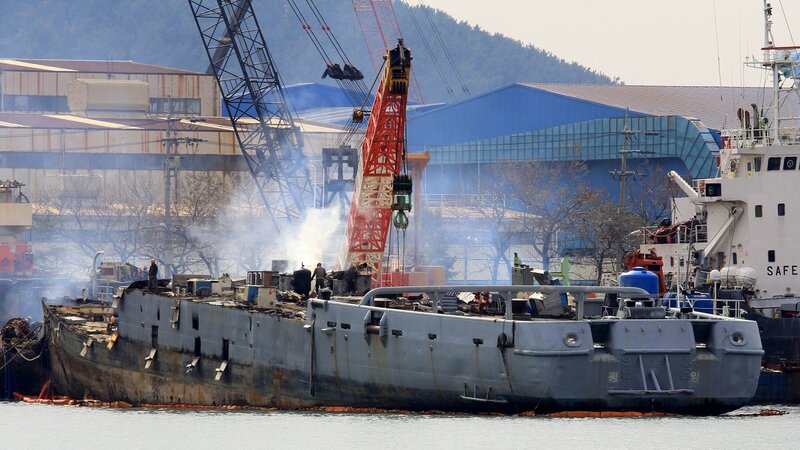 Photo by Chris Howell, Southland Ship Stores Limited, Port of Bluff, N.Z. 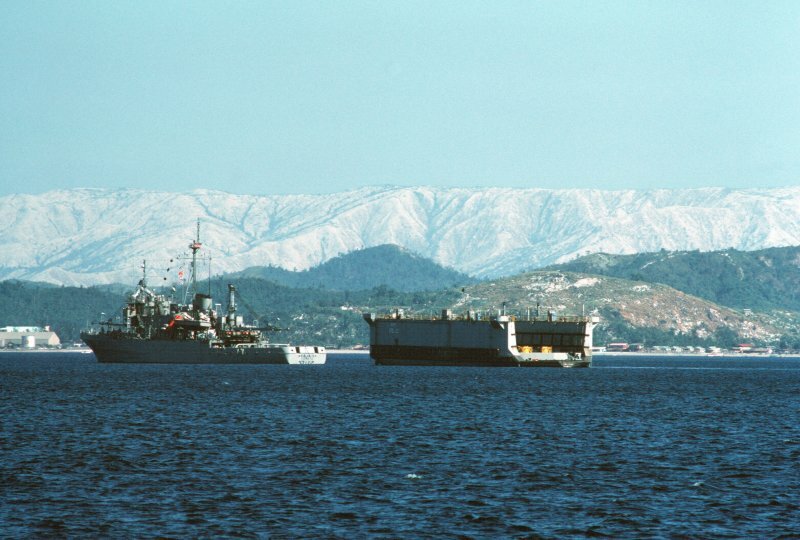 62k USS Brunswick (ATS-3) and Machinist (AFDB-8) at Naval Station Subic Bay, Luzon, Philippines, 3 April 1992. 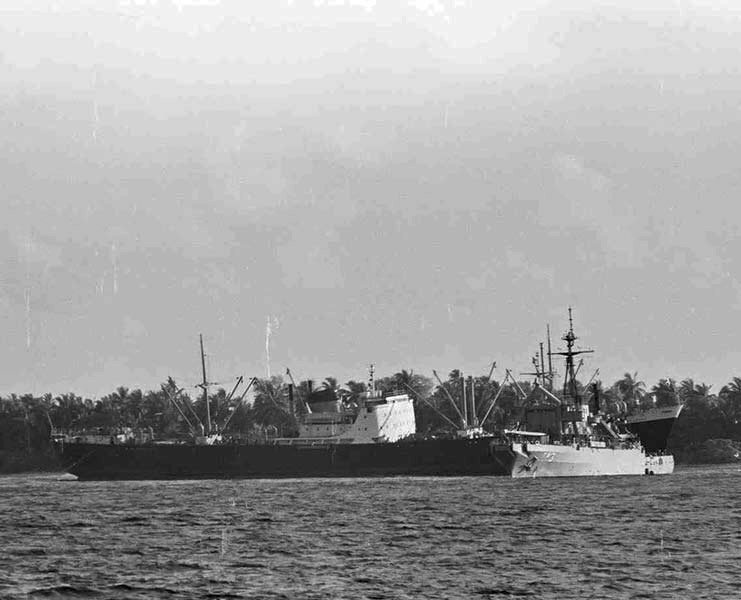 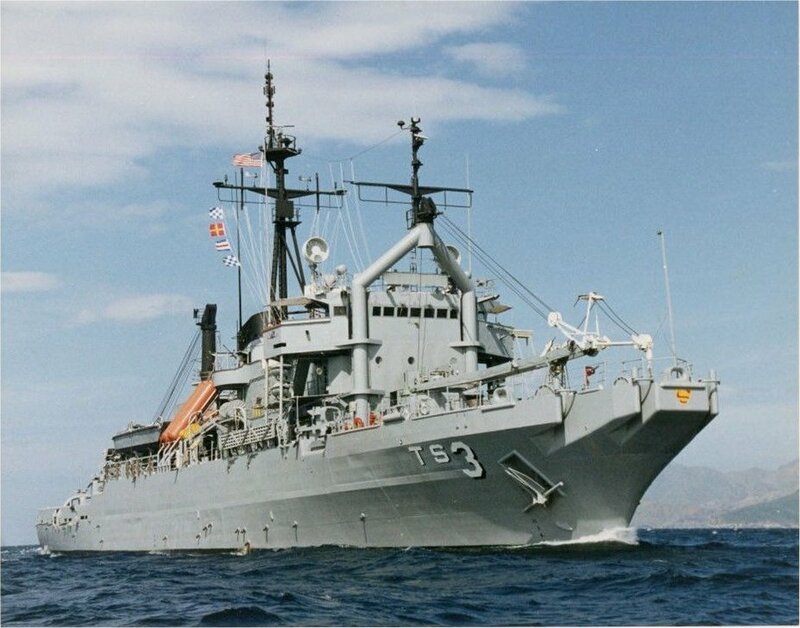 Brunswick towed Machinist from Subic Bay to Pearl Harbor during the US military withdrawal from Subic Bay. 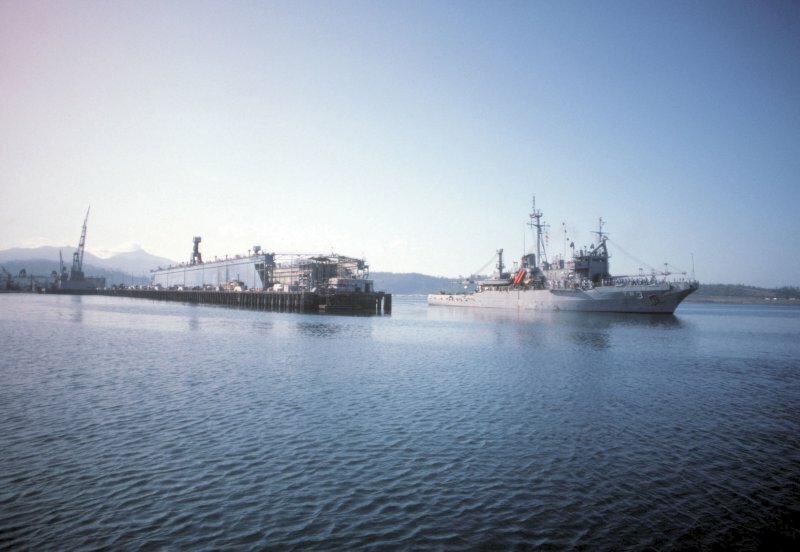 77k USS Brunswick (ATS-3) and Adept (AFDL-23) at Naval Base Subic Bay, Luzon, Philippines, 24 February 1992. 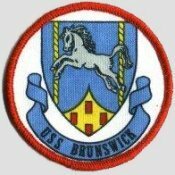 Brunswick has Adept under tow as the dry dock is removed in preparation for the station's transfer to the Philippine government. 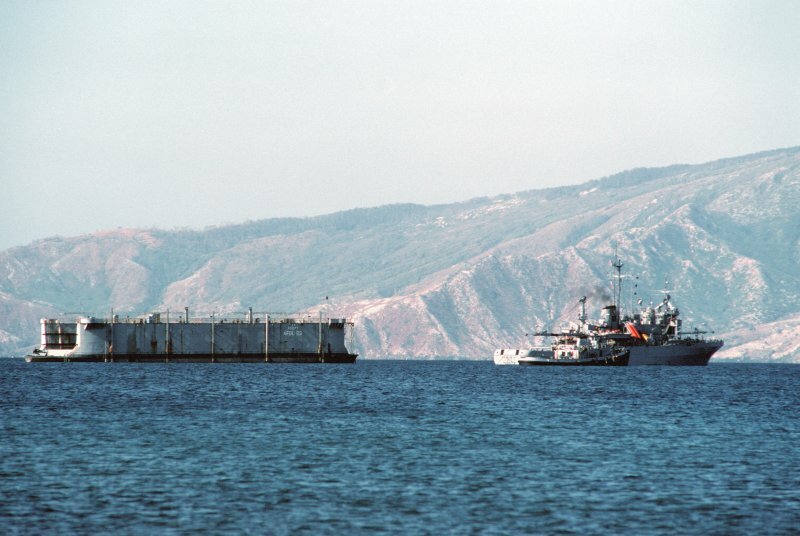 89k USS Brunswick (ATS-3) and Adept (AFDL-23) leaves Subic Bay Naval Station for Guam in tow behind Brunswick (ATS-3), 24 February 1992. 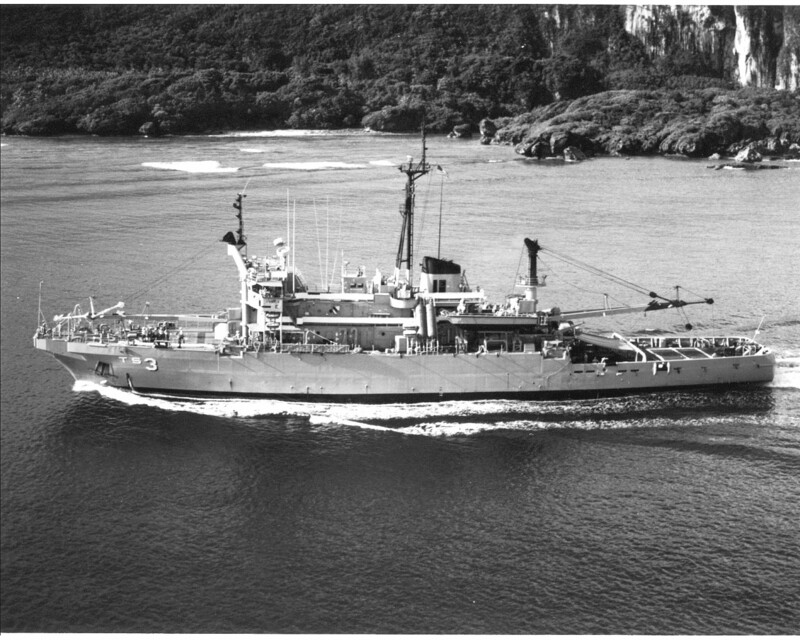 317k USS Brunswick (ATS-3) underway, date and location unknown. 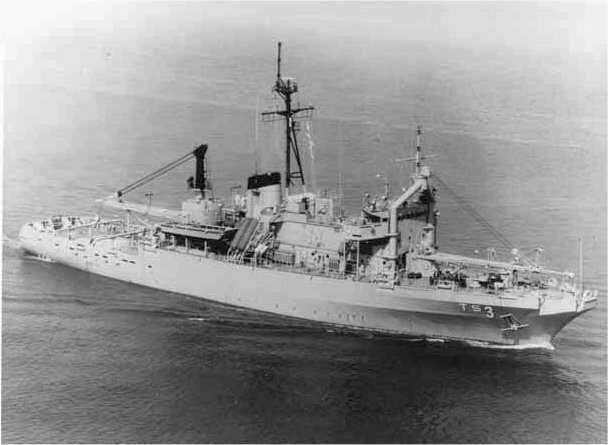 45k USS Brunswick (ATS-3) underway, date and location unknown. 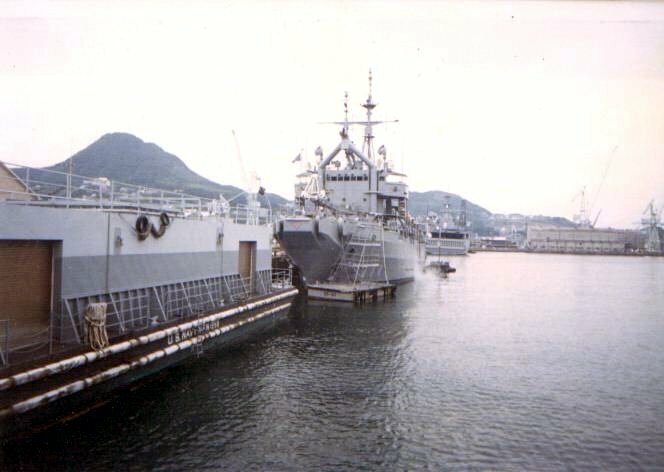 44k USS Brunswick (ATS-3) moored pierside at Sasebo, Japan, circa 1995, during the rainy season.